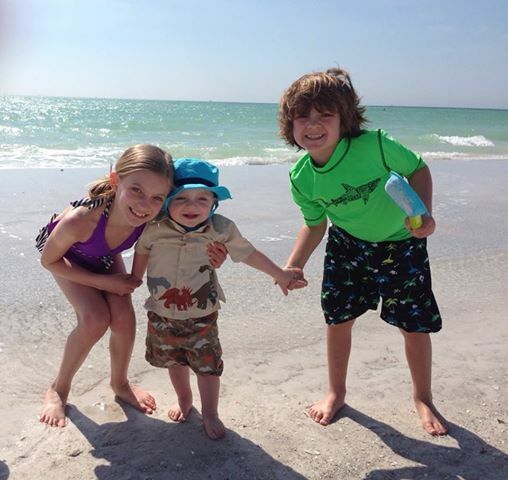 Oh, and did I mention how picture perfect the beaches are? And the turquoise waters? But enough of that perfection. It’s time to talk Easter. Specifically Easter Brunch. 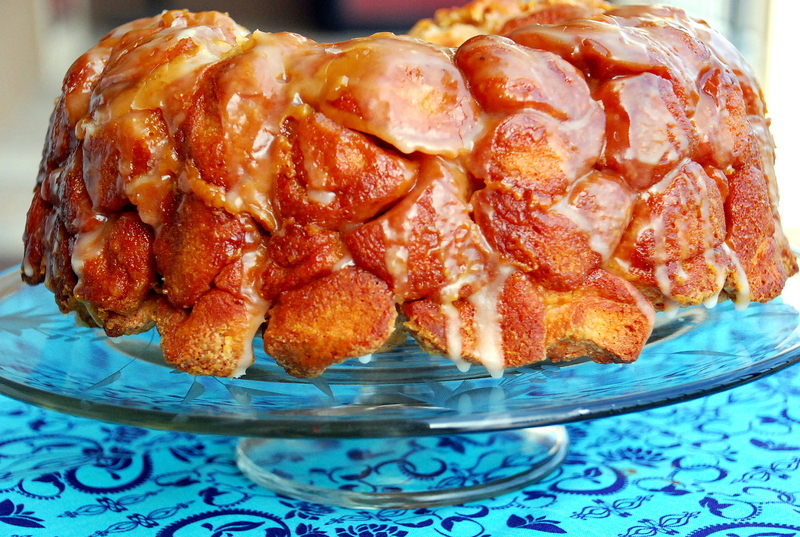 We have monkey bread for every holiday brunch in our family. It’s not especially gourmet, I know — it’s made with canned biscuits for heaven’s sake — but it’s tradition and we inhale it. 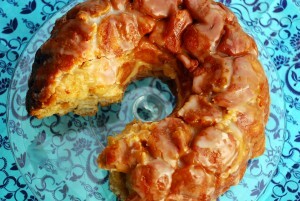 With Easter coming up, I’ve been tinkering with a “springlike” version of traditional monkey bread. This one is lemon-scented and layered with a tangy lemon cream cheese mixture, then glazed with a tart lemon glaze. It’s so beautiful to look at, but even better to taste. It would be a lovely addition to any Easter brunch! Make sure the pudding mix is not instant. You want the old-fashioned stuff here, and only the smaller-sized box. Separate dough and cut each biscuit into quarters. Use an electric mixer to combine filling ingredients. Dip each biscuit piece in melted butter then coat with the brown sugar mixture; place in pan. Fill pan halfway with biscuits. When pan is half full, drop filling in dollops over biscuit pieces. Spread evenly. Finish filling pan with remaining biscuit pieces (dipped and rolled in sugar mixture). Pour any extra butter and brown sugar mixture over the top. Bake about 40 minutes or until golden brown and no longer doughy in center. (Cover the top with foil if the edges are getting too brown.) Cool in pan 10 minutes. Place serving plate upside down over pan; turn plate and pan over. Remove pan. In small bowl, stir together powdered sugar and enough lemon juice until smooth and drizzling consistency. Drizzle glaze over warm monkey bread. Serve warm; pull apart to serve. Store in airtight container in refrigerator.